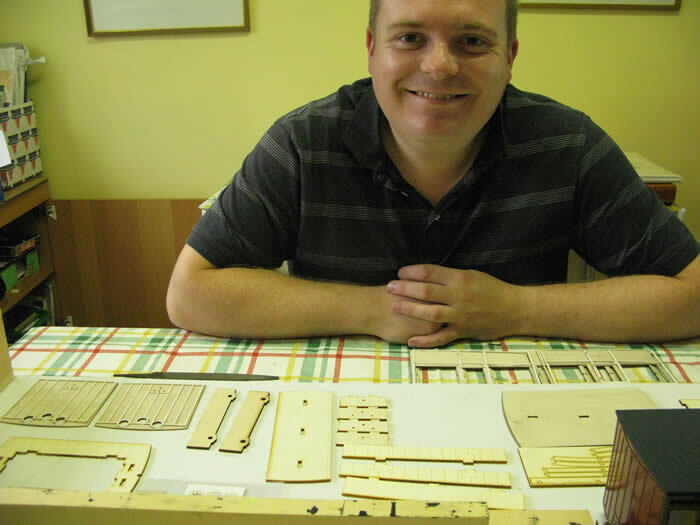 This bug box is a laser cut kit which cost £38. The instructions are generic to all the Jurassic bug boxes, which makes sorting out the specific parts for your bug box interesting!! Parts are easily pushed out. 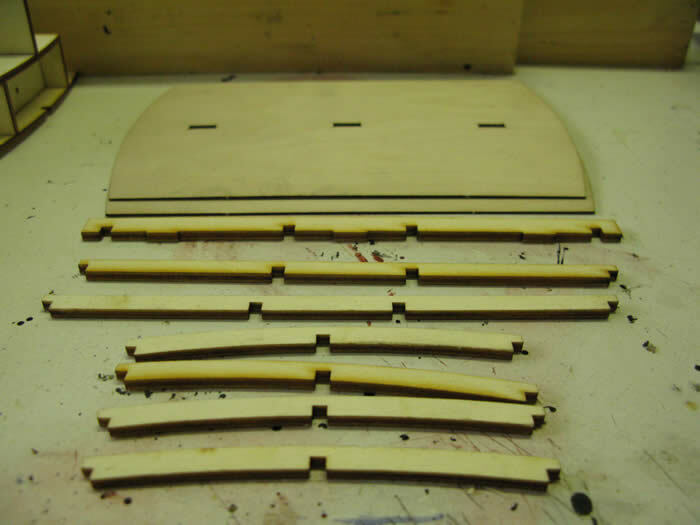 This is the floor base and the supports for the bench seat. 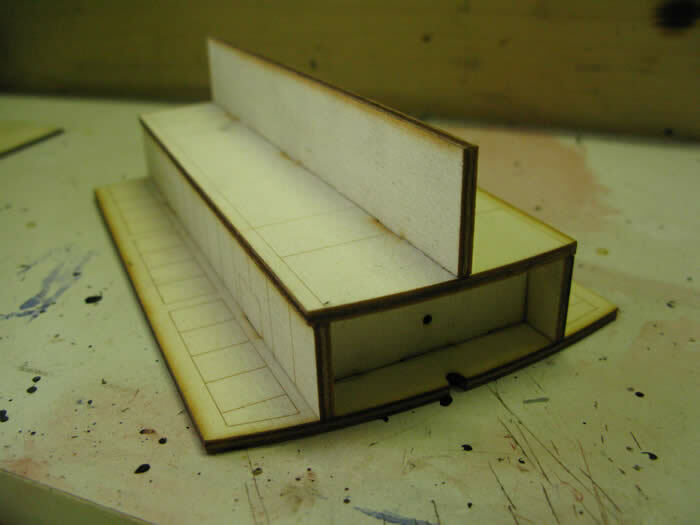 The roof frame is quite delicate. The roof has two layers. 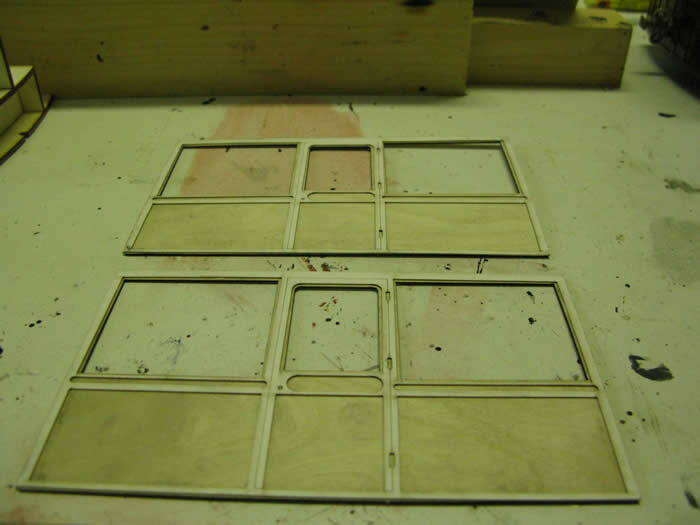 Fit the one with the location holes to the frame and let dry. 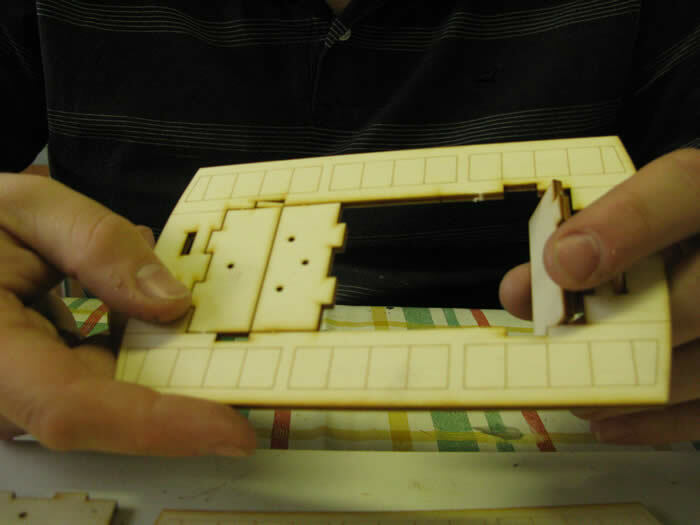 Then glue on the top layer and clamp. I used small clamps to hold the curve in place. The ends with the card overlays. I used wood glue and a very small paintbrush to put glue onto the card overlays so there was no glue "spread", positioned the overlays accurately, and placed a heavy weight on top. 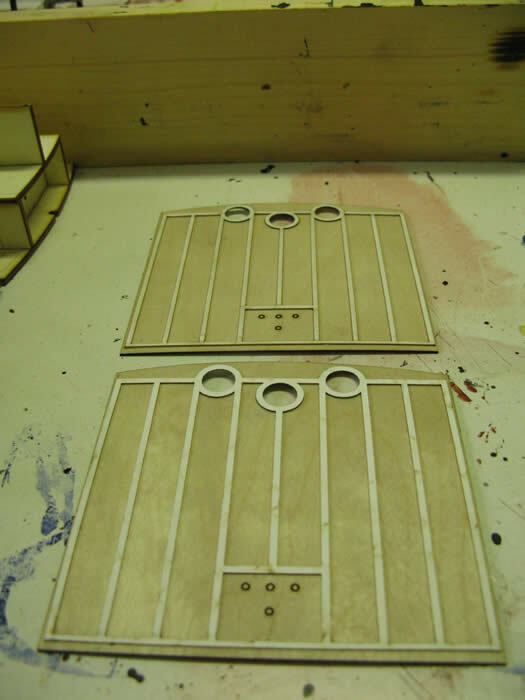 The ventilators are fitted to the “portholes” These card fittings are very delicate and fit from the inside. Great detail! 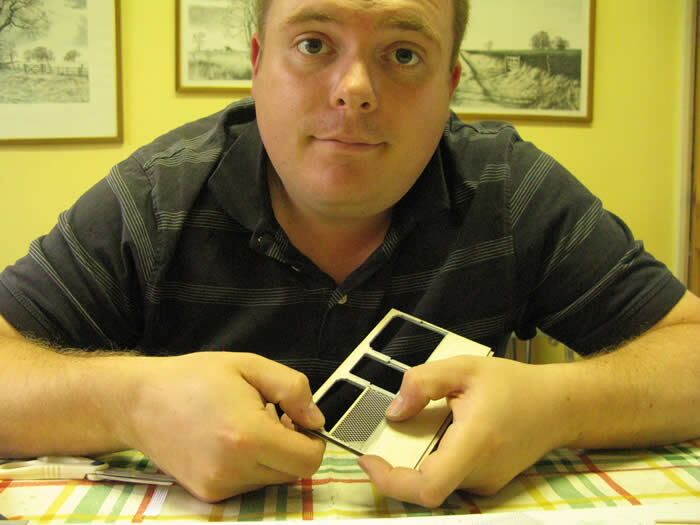 Each of the sides has four parts. 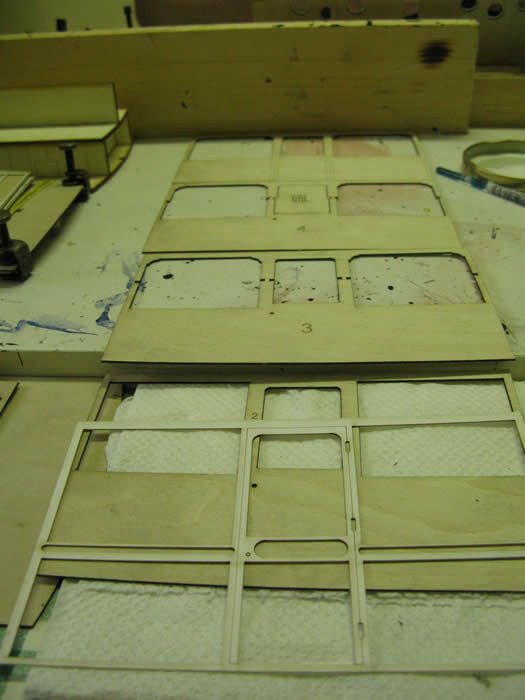 The front and parts 3 and 4 are glued together. 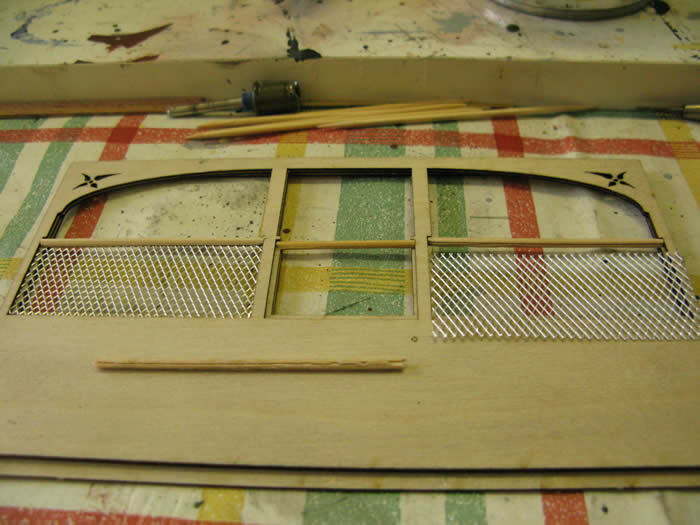 Leave the coach inside layer because the metal mesh must be fitted first. Cocktail sticks are cut to size and then given a groove with a razor saw. The mesh is attached and cut to size with scissors so that it fits in the recess. If you find that the mesh comes out of the groove secure with a tiny dab of superglue. 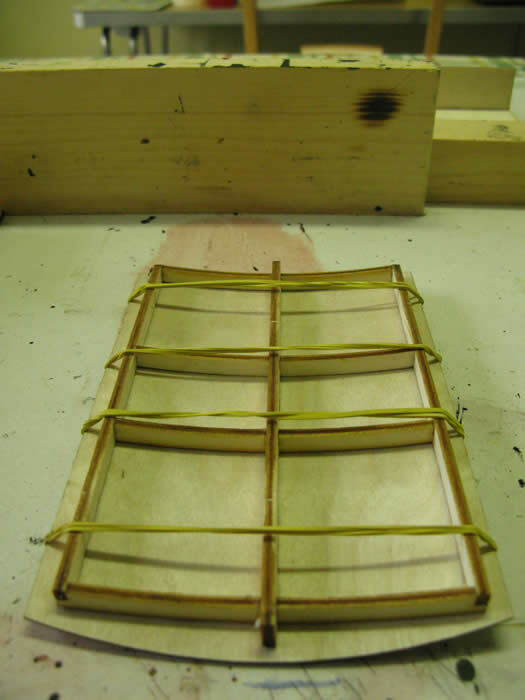 The inside layer is then glued on top holding the mesh and the “rails” in place. 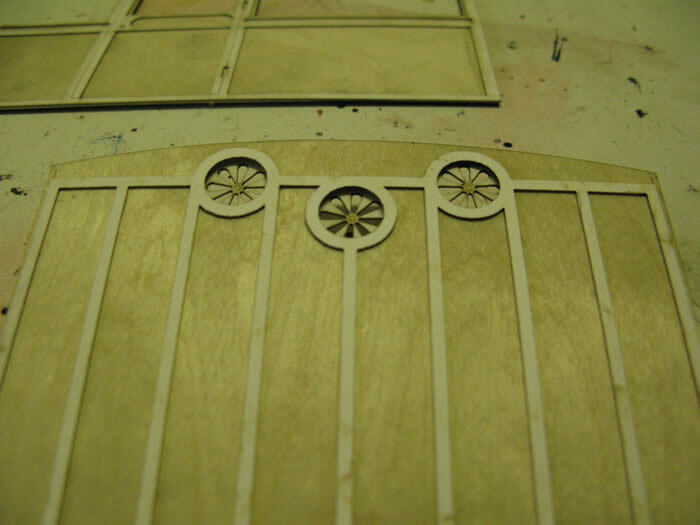 The outer card overlays are glued to the front of the side panel to form the detail. So far so good. 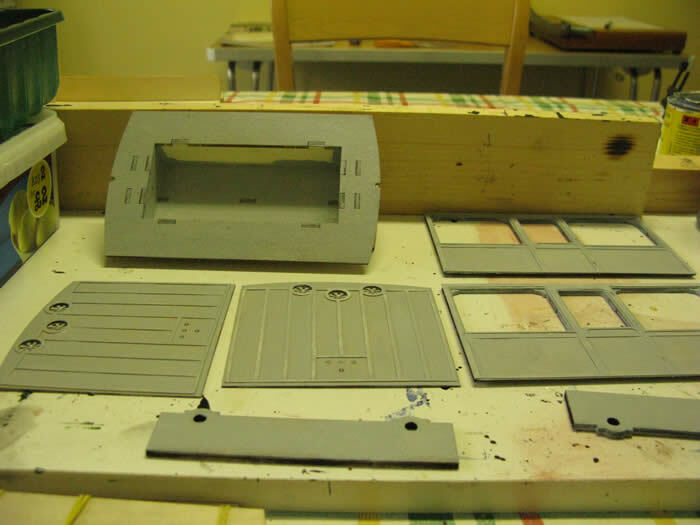 Give everything a coat of Phoenix grey primer. Painting can now begin. 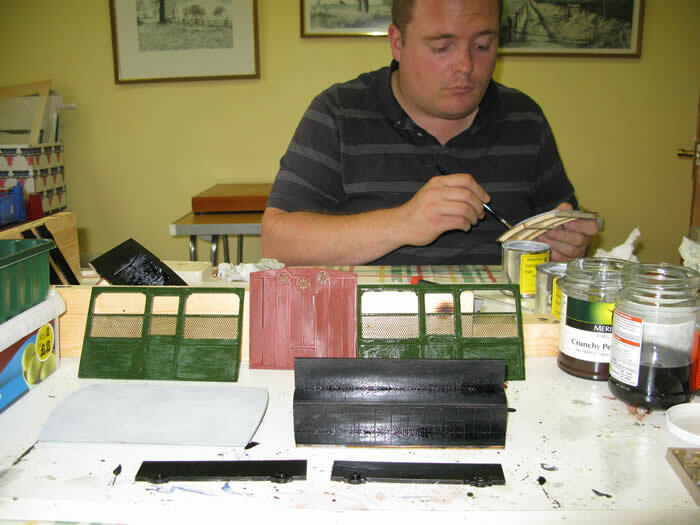 Phoenix/Precision red oxide for the ends and pre 1954 BR loco green for the sides. This matches Colonel Stephen’s 1930s FR livery pretty well, with GWR freight grey roof , seat and frames. 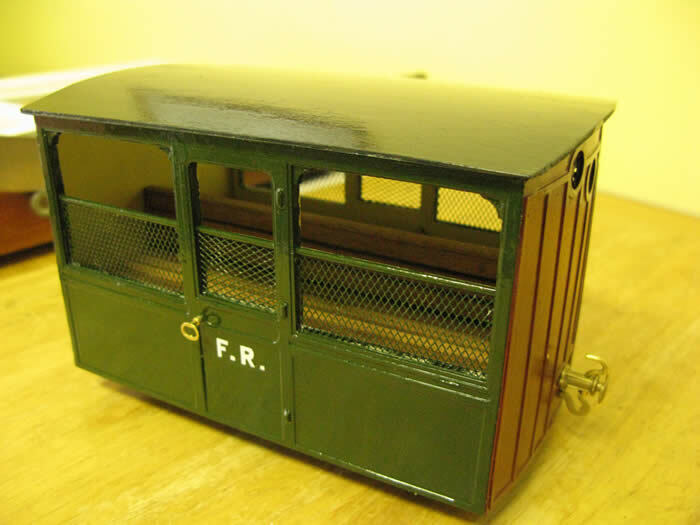 GWR cream for the insides of the coach and Slater's door handles and Ashbury couplings, with a hook made from 1/16 brass wire secured with a 10BA nut. 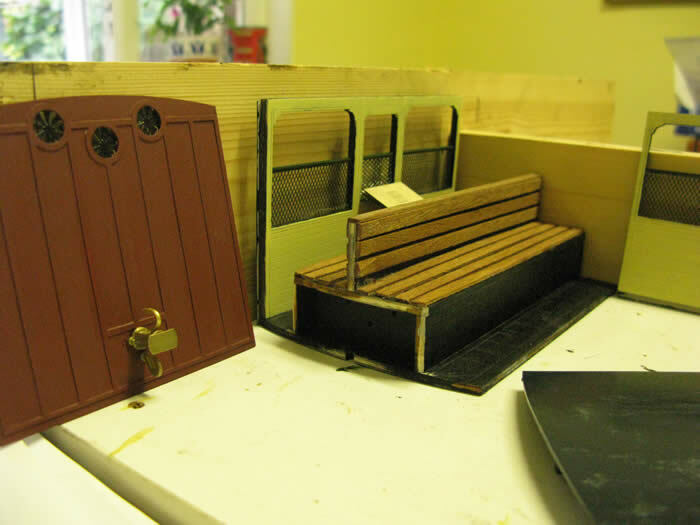 The bench seat was given some boarding and matt varnished. 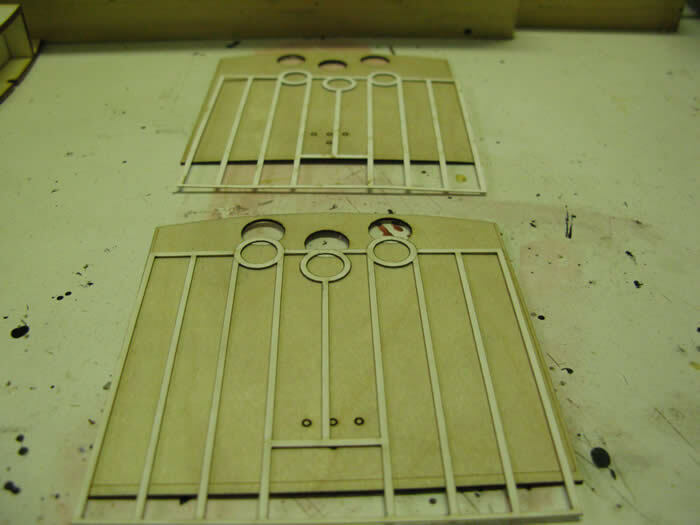 Use tiny bits of 1/16 rod for the door hinges. 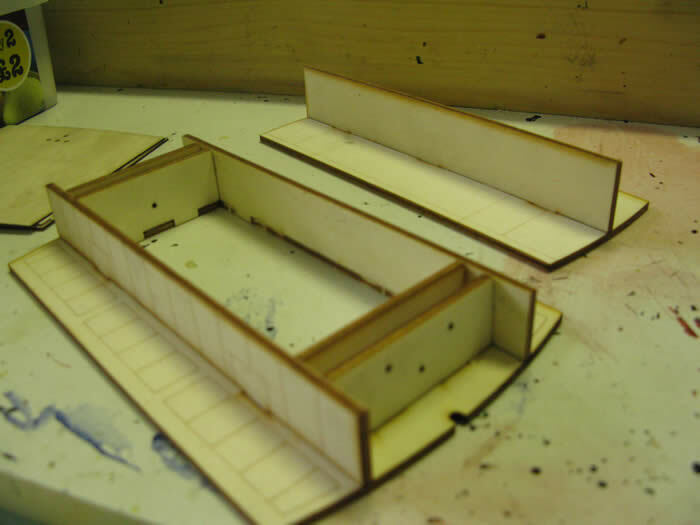 The roof can be left to be removed. Brandbright wheels and bearings complete the model. Not that you can see them!! DJB transfers..maybe it will be FR 12 when rebuilt!! 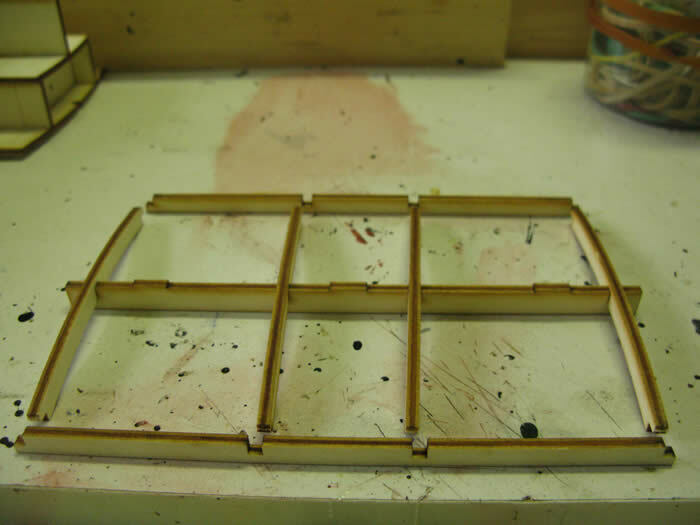 Give roof a coat of matt varnish and the ends and sides a coat of gloss varnish. A very well made kit with loads of detail. Very good value for money.